The VIP boat party cruise includes 4hrs of unlimited drinkig, fresh paella, sliced tropica fruit, jet skis, bannana boats and snorkelling. 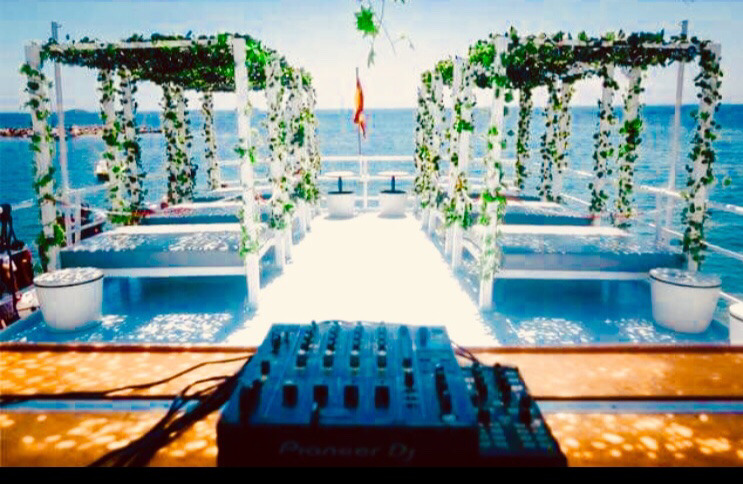 This is the perfect Ibiza Hen & stag package and with everything above included in the price, this is an amazing value experience. You will have top deck beds included in your booking on a two story party boat with free access to water sports and can optionally partake in fun, socialising and drinking games with the rest of the party on the lower decks at anytime with your own space overlooking the party for your group. Get back in touch with the team anytime for advice, information, recommendations and planning assistance. • Open Bar: Spirit mixers. cocktails, sangria, beer, wine & soft drinks. • Food: Paella, salad and sliced tropical fruit. Discounted packages & Club entrance for all customers. Enter DEPOSIT at checkout to secure with a 50% deposit payment.